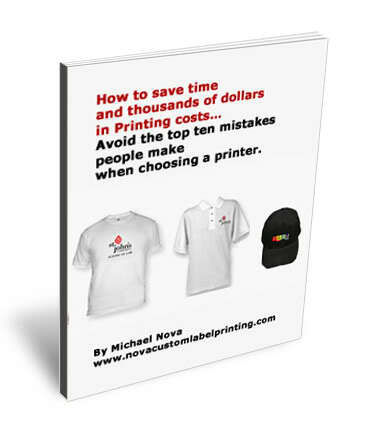 In a Feb 14, 2006 article in MarketingSherpa.com, research analyst Hope Hopkins explains why custom apparel, such as t-shirts, are more effective than online ads, print ads or even television ads at promoting a business. In 2004, her group conducted a survey of consumers to see which types of promotional materials yielded better results. Her results: stunning. More than 76 percent of the consumers taking part in the research remembered brand names of companies who gave away promotional items. Only 53 percent could remember a company’s print or television ad. Online ads were even less memorable. Just over one-fourth of the consumers could remember companies who ran online ads. Though online advertising is all the rage, companies who manufacture custom apparel out-earn their online competition by a factor of three. The reason, says Hopkins, is that promotional items are put to good use. These items create a focal point for the consumer every time they are used. In the case of promotional wear used to market a business, the clothing becomes a focal point for other potential customers, too, who see the company’s logo on the back of wearers. 73 percent of consumers who used promotional products reported that they wore it or used it one time per week—or even more often. Nearly half used the items every day. That, Hopkins says, gives the brand “[l]ong-lasting,” “repeat exposure.” The image on the logo, it would seem, sticks in the mind of the user more than one seen in print, online, or on television. A brand’s favorability rating also goes up with consumers when they receive a promotional item. Referrals rose by a whopping 500 percent, compared to mail or email marketing. Compared to other kinds of marketing a business, referrals went up by 22 percent. 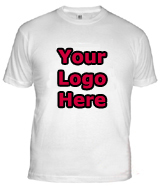 Twenty-five percent of the consumers planned to do business with companies who gave them promotional custom apparel to market their business. Over fifty percent of consumers shared that they has already done business with the giver. Promotional merchandise, it seems, does the best job helping companies overcome the challenge of marketing their business. Out of sight, out of mind, it would seem. Consumers who received custom apparel could better remember the name of companies who gave them the custom imprinted apparel. More than 75 percent could remember the name of those companies over an entire year’s time. Print ads fared much worse. Just a little more than 50 percent could remember companies’ names whose newspaper or magazine ads they had seen only a week earlier. Of those who had received custom apparel or promotional products during the previous year, 34 percent of them were either wearing or carrying the item the day of the random survey. Most of the consumers kept their promotional products for over a year. When it comes to promoting a business, these useful giveaways have the most longevity. The provide value for the consumer. More specifically, tailored to the target demographic and provided value for the consumer. The more useful the item, the more likely the consumer is to use it. If the item is worth more, the consumer will be more impressed by the company’s largesse. Having a unique appearance that conveys the brand’s image in an eye-catching design is also a plus. For example, if a company’s target demographic is those people interested in winter sports, a warm hoodie or jacket bearing the company logo would fit the bill. If, on the other hand, a company specializes in high-end fashion, perhaps a high-quality polo shirt would be a better fit to promote its brand. The results of Hopkins’ study reveal that no matter how much a company brands its business through high-tech digital ads, it is still far better for a company to promote its brand through high-quality, useful promotional merchandise.